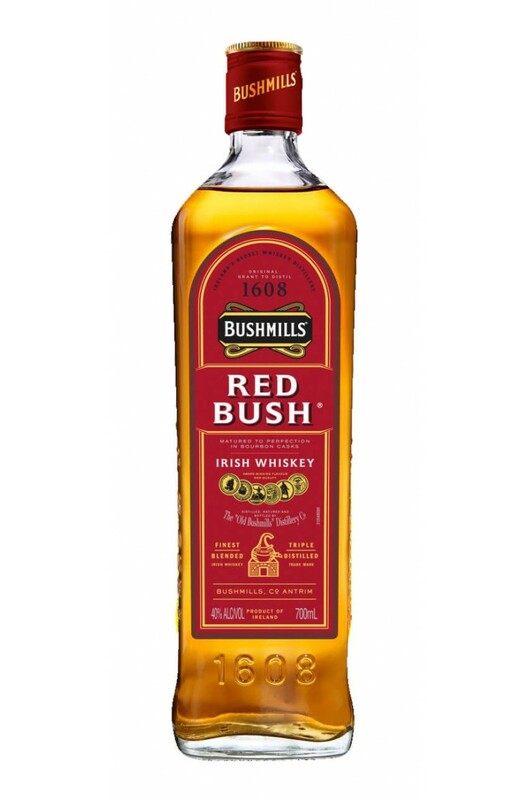 Another addition to our ever expanding Bushmills collection, Bushmills Red Bush. This triple distilled single malt and Irish grain whiskey blend is the first new expression in nearly five years to come from the Old Bushmills Distillery for the domestic market. This particular expression of Bushmills has been matured in first fill Bourbon casks so lots of vanilla and buttery notes can be expected. Aromas (without water) On the nose, the amber spirit offers intense aromas of toasted oak and vanilla. Palate (without water) The first fill medium char bourbon cask softens the spirit, allowing smooth and sweet notes of vanilla and caramel to emanate.